Like most people, you were probably taught to share small tokens of appreciation or affection with others for Valentine’s Day. In fact, it’s very likely the first paper valentine you ever received or gave was when you were primary school age or younger. I know that’s when I got my first valentine. As I got older, my classmates and I stopped exchanging paper valentines and conversation hearts. Instead we were expected to give our valentine gifts such as flowers, chocolates, or a night on the town. But the usual ways to celebrate Valentine’s Day are not the only ways you can show you care. There are some non-traditional ways to love your valentine as well. One of the non-traditional ways to love your valentine is to give to others. Prepare and serve food at a homeless shelter together. Or, become volunteers at your local hospital. You could also get your friends involved and take small valentines to a nursing home. The possibilities are endless and all show your valentine how much you care for your fellow human being. Does your valentine have an outstanding bill you are aware of? If it’s within your budget but would help them out, pay it off or pay a portion of it. Instead of treating your valentine to an expensive meal in a crowded, noisy restaurant gift them with an investment. Determine what you would have spent for a typical, boring gift and invest it into stocks that hold meaning for your valentine. For example, if your sweetie is into Nike, Apple, or some other company, treat them with stock from Stockpile. Giving your valentine a gift of stock demonstrates that you care enough to invest in their future. 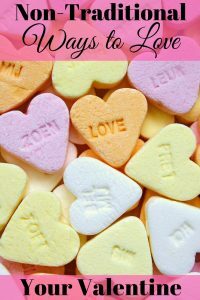 If you need some ideas for a budget friendly, non-traditional way to love your valentine, switch roles with your partner. Guys do the grocery shopping and cook while girls buy the flowers and do the clean-up. Another of the fun, non-traditional ways to love your valentine is to take silly pictures. Find the craziest poses possible and take pictures to reenact next year for Valentine’s Day. Almost nobody likes to do paperwork or budgeting and especially not on a holiday. So, perhaps this idea could be done in the name of a valentine gift but completed the day before or after. That way you can still enjoy the holiday together. Even though budgeting isn’t fun it is necessary. If your valentine doesn’t do budging well or just needs a little help, offer your services to show you care. When you want to show your partner you care, put some extra money in their emergency fund. This tells them you want to encourage good spending habits. It also helps them stay out of debt and shows that you’ll be there if the going gets tough in the future. One of the non-traditional ways to love your valentine is to surprise both of you. Arrange several days off with your boss and your valentine’s boss. Next, blindfold your valentine and make them pick a spot on a map. Then, buy airline tickets, pack, and set out on an adventure together. As you can see there are plenty of non-traditional ways to love your valentine this year. Some of them may seem less romantic than others. However, that is one of the reasons they show how much you truly care. 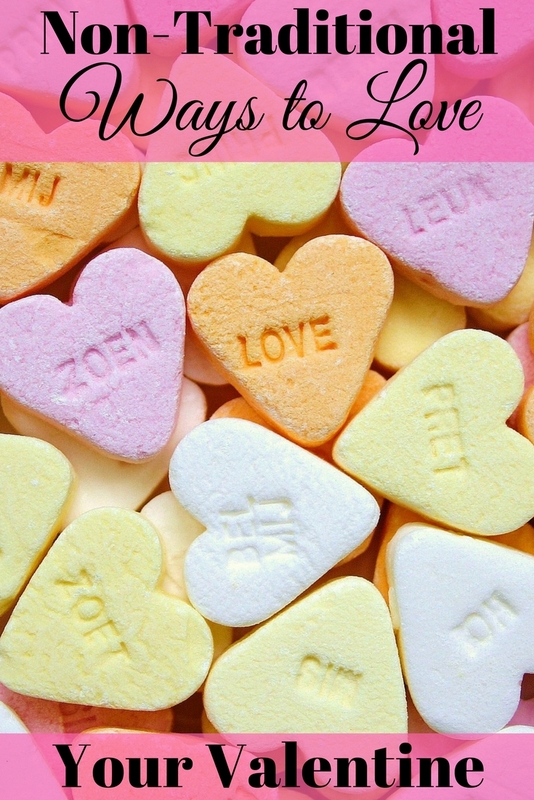 What non-traditional ways to love your valentine will you choose this year?